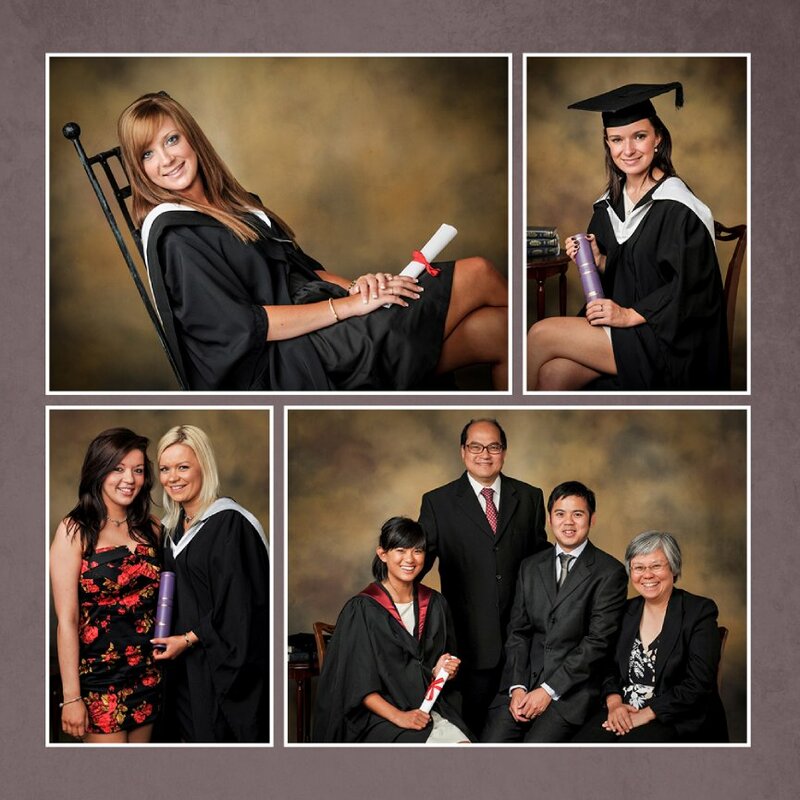 Graduation photography is available here at our city centre studio or location of your choice. No more queues at the graduation ceremony - we offer individual appointments. Our graduates are given a generous 30 minute appointment which will allow them to be photographed individually or with their families in any variation of their choosing.we also pride ourselves in ensuring every part of gown and hood is worn properly and you will not be rushed, we also offer a variety of styles and poses for you to choose from rather than the stand and smile one shot at the university. We offer a variety of packages or we can tailor any particular order to suit and at less cost than the official university packages. Colour and black and white available.